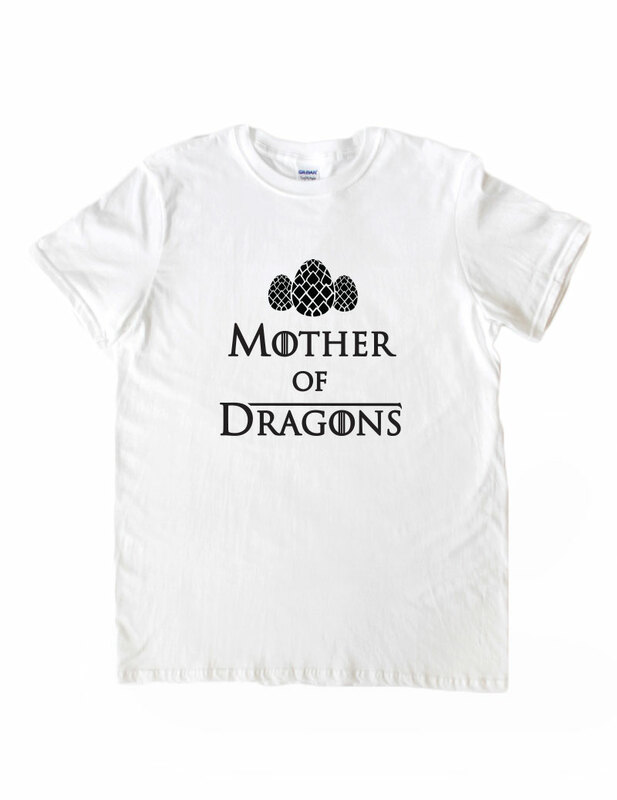 Mother of Dragons printed t-shirt. 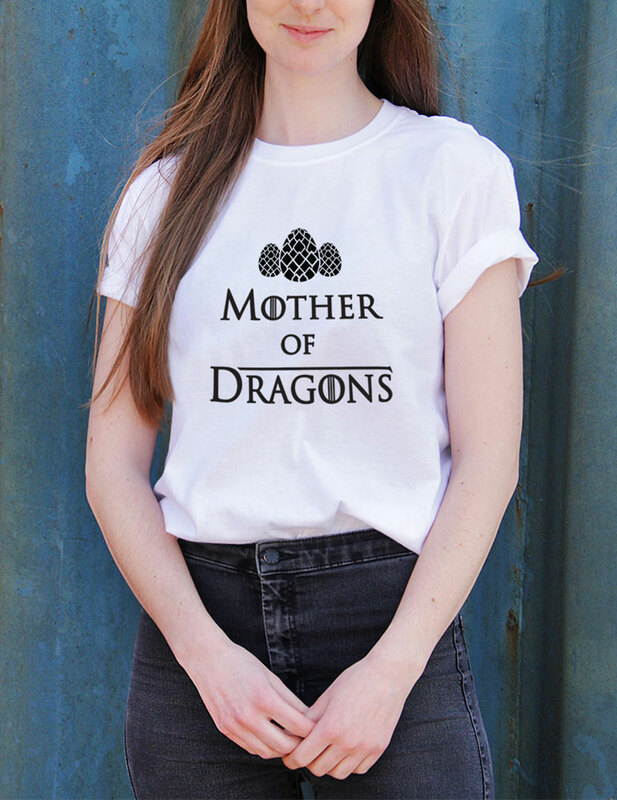 The perfect gift for a GOT or 'Daenerys Targaryen, The Unburnt Queen of the Andals, the Rhoynar, and of the First Men Queen of Meereen Khaleesi of the Great Grass Sea Breaker of Chains Mother of Dragons' fan! For reference the model in our main image is a UK size 10 and wears a Medium, the sleeves have also been rolled to style.